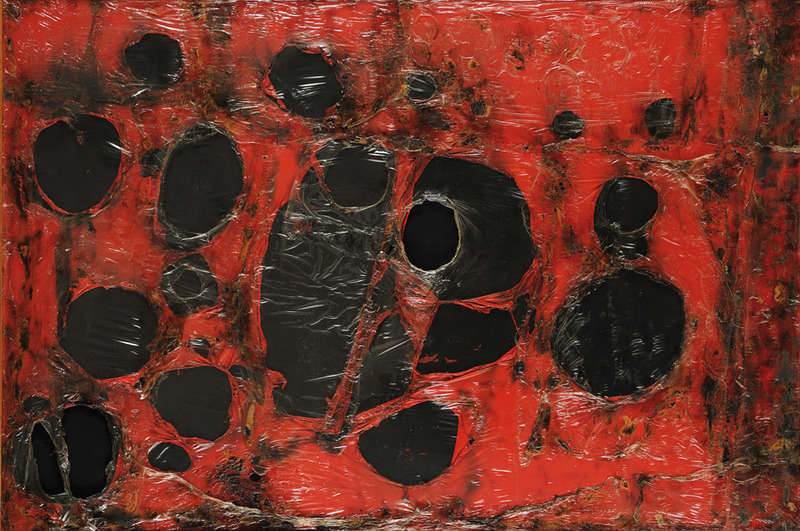 The Fondazione Giorgio Cini is hosting a retrospective exhibition devoted to the “Master of Materials” Alberto Burri (Città di Castello 1915 – Nice 1995), curated by the art historian and president of the Fondazione Burri, Bruno Corà. Based on the synergy between the two institutions and in collaboration with Tornabuoni Art and Paola Sapone, the exhibition is seen as being a climax to international events in recent years celebrating the centenary of the birth of the artist from Città di Castello. The exhibition will oﬀer visitors the opportunity to follow the most important stages of Burri’s artistic career chrono-logically through about ﬁfty works selected from his most signiﬁcant series: from the very rare Tars, Moulds and the monumental Sacks to Combustions, Woods, Plastics, the extraordinary Cretti (Cracks) and the late Cellotex, the last stage in the great Umbrian artist’s explorations of diverse materials. Visitors will be able to explore his career further in a multimedia documentary section, which includes some rare ﬁlms portraying him at work. The exhibition design – the title quotes a famous deﬁnition by the artist of his own work – aims to reconstruct the artistic development of one of the greatest pioneers of the new 20th-century painting, which through his experimentation addressed the crucial theme of the use of humble materials and their transformation into a work of art. The exhibition catalogue is bilingual (Italian and English) and has introductory essays by Bruno Corà and the director of the Fondazione Cini Institute of Art History, Luca Massimo Barbero.